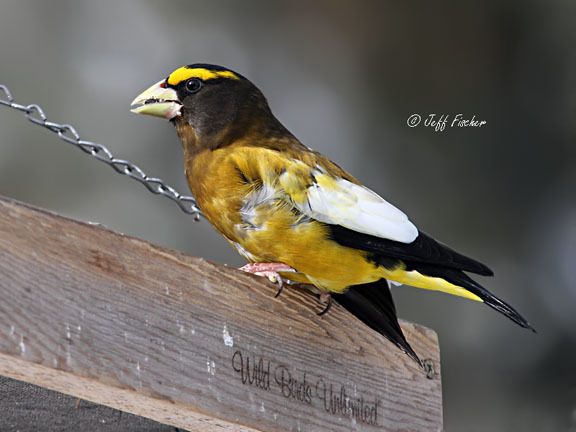 The evening grosbeak is a colorful member of the finch family that is found in North America. They breed in the cooler climates of Canada and the Rocky Mountains and winter through out much of the United States. They used to be considered more of a western species but in the mid 1800's they began to expand their territory eastward until by the 1920's they were found from coast to coast. 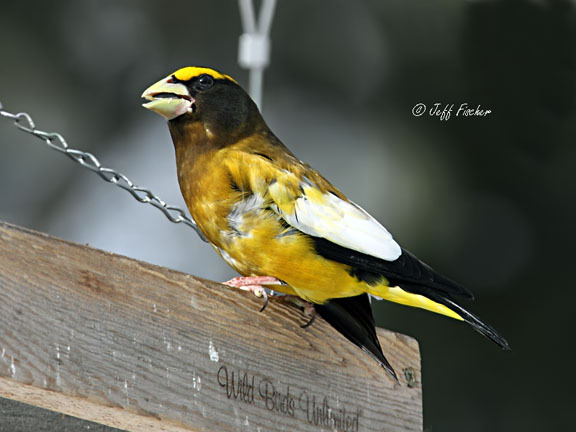 During the winter evening grosbeaks are a frequent visitor to feeders where their large beak helps them to crack open seeds that smaller birds can not handle. Their winter diet consist mainly of seeds. However during the summer they turn to insects for the major part of their diet. They are particularly fond of caterpillars and spruce budworm larvae which they glean from trees. This is fabulous bird and superb shots of it. I love animals, i photograph them myself very often. 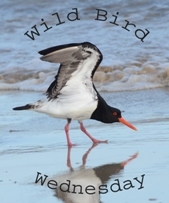 What a cool looking bird and brilliant images. really beautiful bird -- nice captures! Love fiches, also nice to hear of a bird thriving. Great post! I loved seeing this awesome bird! Yeah this is one gorgeous bird. Everytime I see one, I think WOW! Enchanting little bird, so pretty.